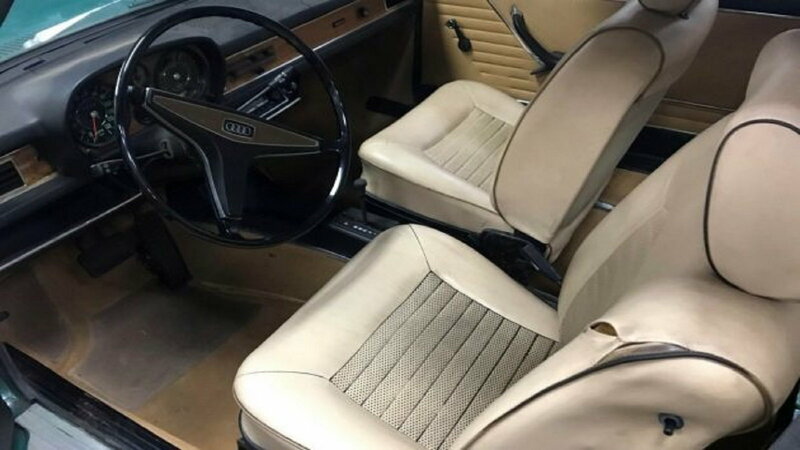 Slideshow: A 1973 Audi was recently listed for sale on eBay and upon closer inspection, the vehicle looks to be a super rare find, for all sorts of reasons. The car has since sold, but click through to check out some of its photos and learn why this car is so special. According to the owner that listed the vehicle for sale, the paint is entirely original. Let that soak in for a second. It’s never actually been updated. If you look closely, the shine on it is incredible. There are no scratches and no rust. The only bit of wear appears to be on the car’s rear bumper where there is some peeling going on with its chrome, but the look of the rest of the car certainly makes up for this. For a car that’s 46 years old, that’s pretty darn impressive. Granted, the listing didn’t have a shot of the car’s odometer, but if true, that’s hardly any wear and tear on it. And couple this with the fact that Audi is known for producing cars that are of the utmost quality, this Audi 100 model likely has a LOT of life left to it. 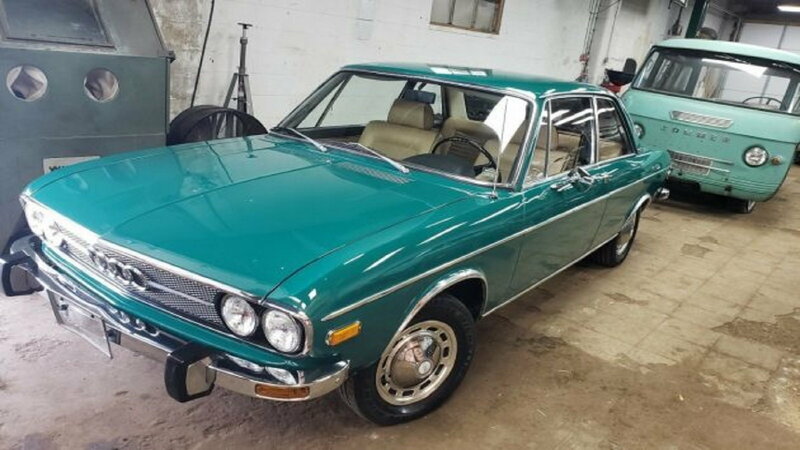 >>Join the conversation about this 1973 100 right here in the Audi World Forum! Well, things might not be picture perfect, but it certainly appears to be in good standing order. Yes, there is a crack in the dash pad, but the original upholstery looks great. The carpet’s slightly worn, but that’s what happens getting in and out of the car whilst driving 26k miles in it. So is there anything wrong with this car? According to the listing, no. But there is something that was glossed over in it: the car’s mechanical status. We can assume all things are fine with it and so that’s why it wasn’t really detailed in the listing, but things could be problematic (and expensive) if updates are needed here. But let’s just assume the car is in good mechanical standing. That means it would be outfitted with a 1.9-liter, 4-cylinder engine which is reliable but nothing to get too excited about (it only produces 91hp). 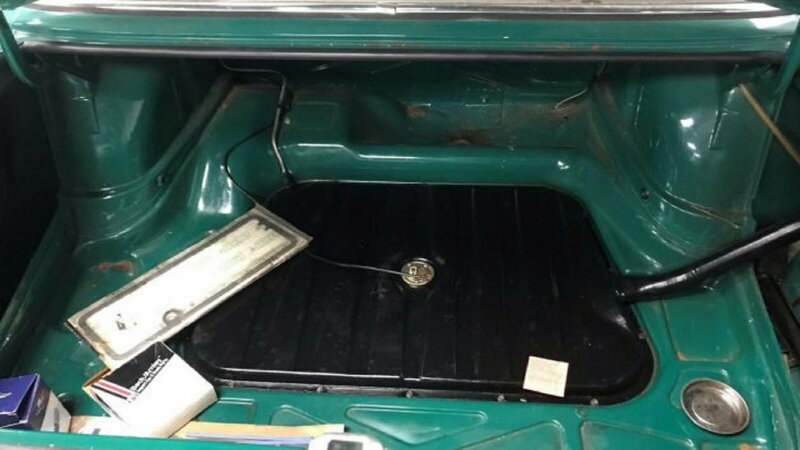 Additionally, the car is listed with an automatic transmission, rebuilt carburetor and fuel pump, some updates to the brakes, and a recently cleaned out tank. So, all indications point to the fact that things are fine but the cynic in me wouldn’t mind a picture or two for verification. 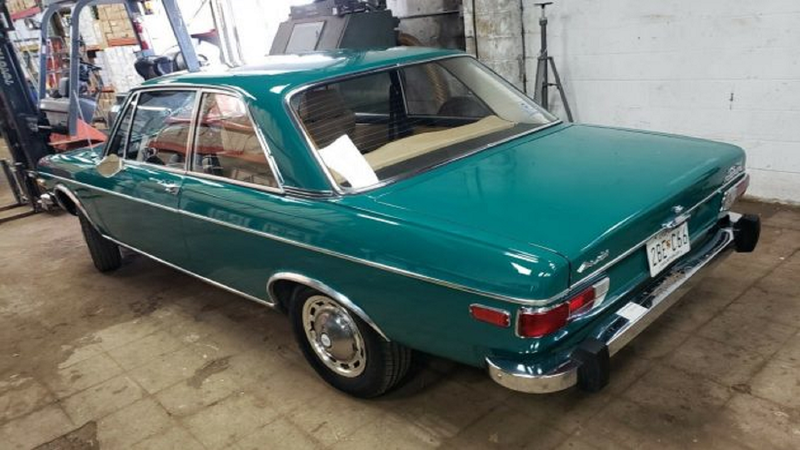 How much was this Audi 100 listed for and what made it so rare? 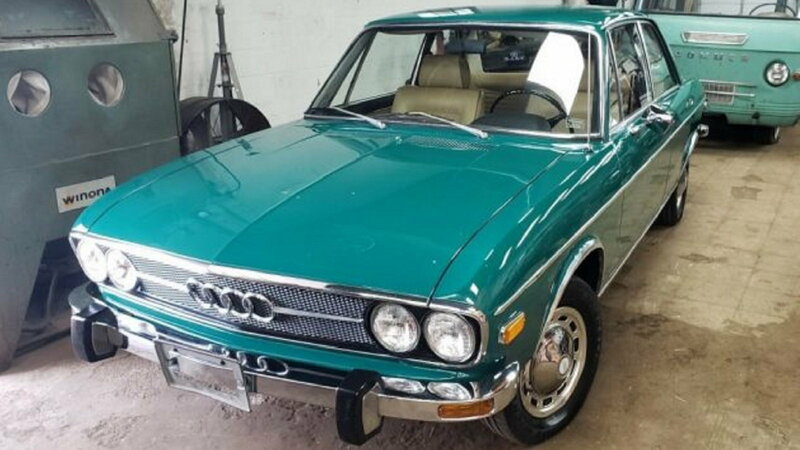 So what we have here is a near-perfect Audi 100 that is close to 50 years old. There are some minor imperfections and limited performance with the weak engine and automatic transmission. Asking price . . . $13,000. Some might consider this a bit expensive, while others might consider it a steal. Per the latter group, they might actually have a pretty strong case, too. You see, the first-generation 100 model was a limited release sold in the USA, starting in 1970. And between 1970 and 1976, just 300,000 cars were sold. Today, some 43 years later, there’s less than 1000 vehicles still capable of driving on the road. That makes this particular vehicle a pretty rare find. And given the quality of its condition, a super rare find at that.